These challenges are intertwined, of course, with the number-one issue of financial challenges clearly weighing most heavily on the minds of healthcare executives. But addressing an issue further down the list—that of personnel shortages—may have effects that ripple outward to help alleviate the other top challenges. Why Should Healthcare Executives Prioritize Personnel Shortages? Personnel shortages can occur with any type of staff member, but it is shortages of physicians and midlevel providers that often prove most difficult to address, particularly for rural hospitals. This is the problem that Remedy Medical Services was founded to solve. 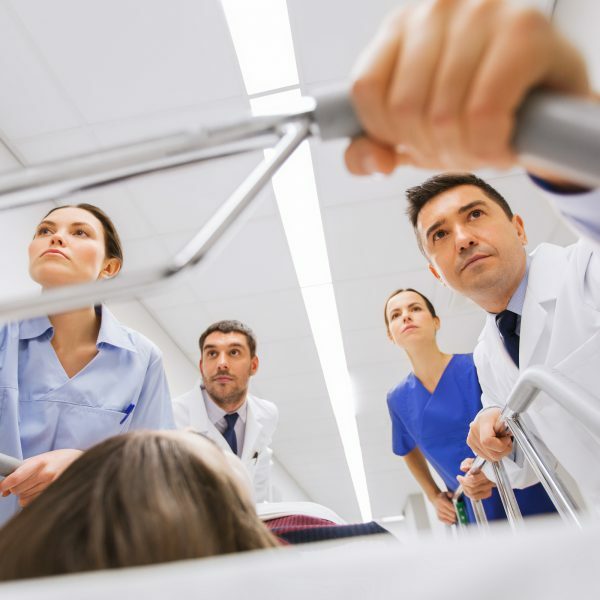 With a hospital staffing model that alleviates personnel shortages with highly skilled hospitalists and ER providers, healthcare executives can set the wheels in motion to attend to the other top four issues on the list. First, financial challenges can be improved with providers who understand Medicare, Medicaid, and the local payers, and know how to work with revenue cycle management teams to maximize efficiency and reimbursements. Locum tenens providers can often struggle with this, as they have less experience with local payers and may not be aware of how to code or document to meet payers’ specific requirements. It takes a long-term commitment on the part of the provider to build this knowledge. Within the category of “governmental mandates,” healthcare executives identified “state and local regulations/mandates” as a major issue. Again, this is an area in which having providers who are deeply engaged with the local community for the long term can make a significant difference. Finally, the issues of patient safety, quality, and satisfaction are very closely linked to the quality of providers and their commitment to the hospital. Healthcare executives in rural hospitals may find this particularly vital, as patient satisfaction can be a make-or-break issue for these facilities. The hospital’s local reputation can easily change—and quickly—due to patients’ experiences with providers. Having physicians and midlevel providers who are known and respected in the community, and who feel an investment in the hospital themselves, can go far in maintaining the facility’s standing with patients. Ultimately, healthcare executives are responsible for ensuring patients receive the best possible care while also looking after the long-term viability of their facilities. With a staffing model that helps them provide the best quality physicians, PAs and NPs, Remedy Medical Services is ready to partner with executives to make their lives easier. At Remedy Medical Services, we work directly with administration by providing a qualified medical director and setting up attainable standards and metrics that improve quality. Remedy Medical Services executive staff are always available to our hospital partners. Hospital administrators collaborate directly with our providers through our monthly staff meetings. Our experience has proven that this is an innovative, sustainable way to improve hospital revenue and keep rural healthcare systems strong. Subscribe to our blog to get periodic updates on rural healthcare trends, hospital staffing, and profiles of administrators and providers making a difference in their communities.